Winter Field Day is coming up and is an opportunity to hone your winter outdoor operating skills. Purpose: To encourage emergency operating preparedness in the winter. When: The contest runs for 24 hours during the last full weekend in January each year from 1700 UTC (12:00 noon EST) Saturday to 1700 UTC (12:00 noon EST) Sunday. For 2017, the dates are January 28 and 29, 2016. 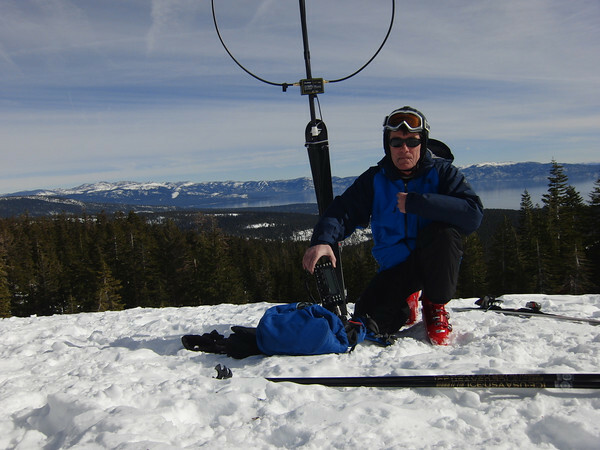 Station set up may begin no earlier than 1300 UTC (8:00 AM EST) on January 28, 2016. Latest From QRZ.com: Without further adieu and by popular demand! We are back! The Winter Field Day Association brings you Winter Field Day. Join Us on Saturday, January 28 at 1900z (2:00 PM EST) until Sunday, January 29 at 1900z (2:00 PM EST). On all the bands and modes, except the WARC bands. We have changed the rules so now it will be similar to ARRL Field Day. 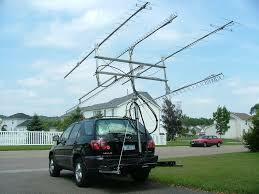 For example the exchange will be WX4ET 1O TN, for the Multi Ops. It will be by the number of stations, for example WX4TN 10O TN. Operate solo, in pairs, or as a team (multi) from home, a remote location, indoors, or outdoors... it's up to you! Earn bonus points for outdoor operation, non-commercial power, and remote locations. Winter Field Day is a perfect opportunity for your club or team to put together an outing. 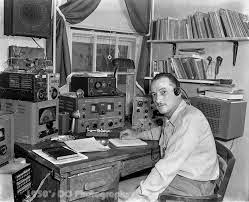 Hope to hear you calling CQ WFD on the bands on Winter Field Day 2017 !!!! Bands: All bands, except 12, 17, 30 and 60 meters. For example, 2 operators at a remote campground would be 2O, 1 person at home would be 1H, 5 club members operating from a community center would be MI. Exchange: Callsign, Category, ARRL or RAC Section (or DX outside of US and Canada). For example 1 person from a North Texas campground would send "KX5XYZ 1O NTX"
There really is a Winter Field Day, and this year, it takes place over the January 28-29 weekend, sponsored by the Winter Field Day Association (WFDA http://www.winterfieldday.com/). The annual event's stated purpose is to encourage emergency operating preparedness in the winter, but it's also a great opportunity to operate in the great outdoors. The WFDA describes itself as a dedicated group of Amateur Radio operators who believe that getting ready for emergency communication in a winter environment is just as important as the preparations and practice that take place at ARRL Field Day each June, all while taking some additional unique operational concerns into account. The WFDA points out that disasters are unpredictable, and its goal is to help enhance operators' skills and prepare for all environmental conditions typically found in the US and Canada throughout the entire year. "We believe...that maintaining your operational skills should not be limited to fair weather scenarios," the group says. "The addition of a Winter Field Day will enhance those already important skills of those who generously volunteer their time and equipment to these organizations." The event is not restricted to North America. All Amateur Radio operators around the world are invited to participate. Operation will be on all HF bands except 12, 17, 30, and 60 meters. The event runs 24 hours. US and Canadian stations exchange call sign, operating category, and ARRL or RAC section. The rules http://www.winterfieldday.com/rules.html are similar to those for the ARRL Field Day, held in June.